Welcome to part one of our guide regarding the Badge & Rune system! Here we’ll be providing some insight into their overall purpose and how to obtain them. Badges provide the player with amazing stat increases – you can find the badge slot located next to talisman slot in the character window. There are several ways to obtain badges, most of which are weekly limited. You should make a point of obtaining them every week when possible. You can buy a Level 1 Badge Gift per week as well as Badge Fragments at Borfen Zur [Sidus Ur (2094, 1570, 183)] and Borfen Non [Sidus Ur (1575, 1565, 183)]. Players will automatically receive a level 2 badge upon reaching the end of the story quests – located under L → Quest Log. NOTE: If you get an undesirable badge for your class via the story mode, you can salvage the level 2 badge and receive 9 badge fragments to craft another one for yourself. You can combine your fragments at Jela Jora [Sidus Ur (1571, 1580, 183)]. Here is the chart of each runes simplified into badge fragments only (not considering the Merit Plate from badges level 4 and onward). 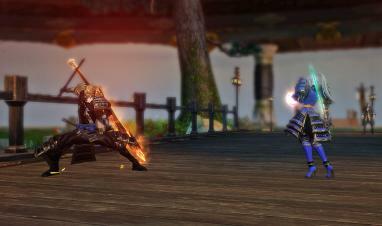 Normal: Can be obtained through Normal Rune Boxes (purchased from NPCs or synthesized using 30 Normal Rune Fragments). Advanced: Can be obtained through Advanced Rune Boxes (chance of being obtained from synthesizing 30 Normal Rune Fragments or by synthesizing 30 Advanced Rune Fragments). Ultimate: Can be obtained through Ultimate Rune Boxes (by combining 99 Ultimate Rune Fragments). You can buy Normal Rune Boxes at Borfen Zur [Sidus Ur (2094, 1570, 183)] as well as Borfen Non [Sidus Ur (1575, 1565, 183)]. Use the Box to receive a random Normal Rune that can be socketed into your gear. In our upcoming article (part two), we’ll be listing numerous runes, explaining how to socket them, and taking a brief look at ‘Soul Skills’, so be sure to stay tuned. Thank you for reading and good luck in your next adventure! 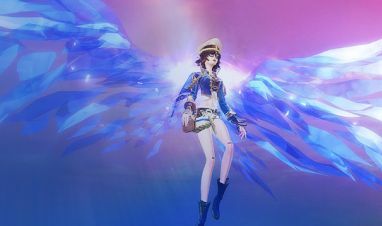 Learn about the various ways you can gain wings in Revelation Online! Part two of our Badges & Runes breakdown – unlock your full potential!